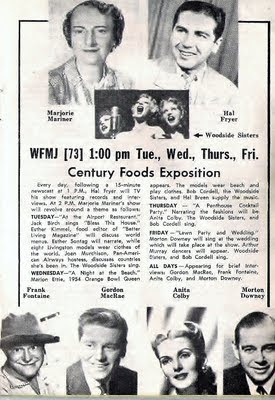 Some personal thoughts and updates..
May 1954:Ad for something called "Century Foods Exposition" Held In Youngstown in Spring 1954..WFMJ-TV 73 did a lot of remote telecasting from there that week..Included in this ad are rare photos of Marjorie Mariner and Hal Fryar..
1955:WXEL Channel 8's "New Evening Lineup" as of January 1955..Seeing Ohio Story as part of the lineup reminds me how much I'd love to see some episodes of "Ohio Story" sometime..
September 1956:WOR-TV 9 New York City TV Guide ad for Crusader Rabbit and Terrytoons..This is one of the earliest Animnation packages to be released to Television, with Farmer Alfalfa and the Original Black and White Crusader Rabbit Cartoons..Knowing this isnt Cleveland, but feeling the historical aspect is important..
Just wanted to update folks on where the blog is going, along with thoughts about other classic tv matters..
March 28 was our blog's fourth anniversary..Just about forgotten about it(The anniversary)..I appreciate everybody's support and contributions over the years..Especially those who have been kind enough to send me photos, audio and video material..Has really added to the blog's popularity..I do appreciate it much.. 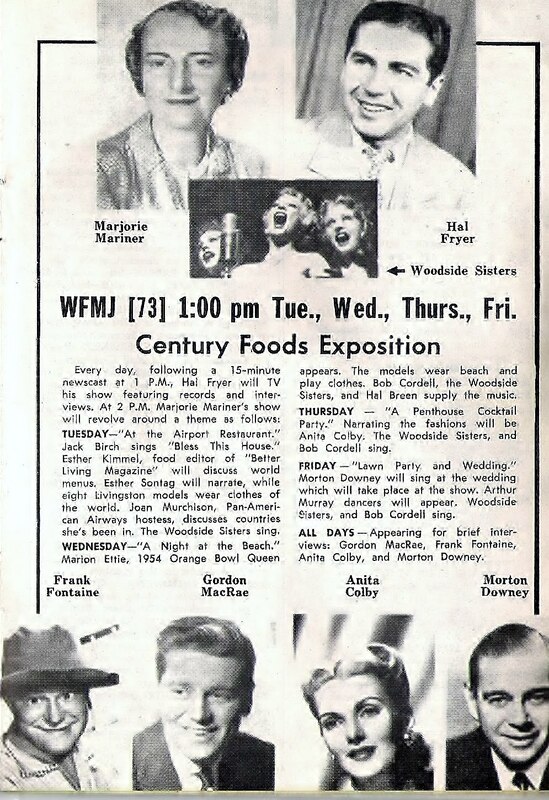 While we're on the subject, if anyone has Video or audio especially of local Cleveland TV (Akron-Canton-Youngstown-Wheeling-Steubenville as well) or even photos they'd be willing to share, particlarly from the 1950's to the early 1970's..Radio airchecks are welcome too, from the 1940's to the early top 40 era..Would be much appreciated. Email me with the contact link at the right..
We've had our Facebook Page for Cleveland Classic Media up for about 15 months now and it has been a blast to do..Thanks for all the response there.. The Classic KYW Facebook Page has been slow going as of late..Not a lot that I have that I havent already shared..
About questions:We've covered before about the rarity of Local TV clips, especially from the 50's and 60's..Stations just didnt think much was important enough to save..When Videotape came in, programs were erased over..General saving of things like newscasts and local shows didnt happen till 1978 or so...When someone writes to ask, "Can you help me find a Mr. 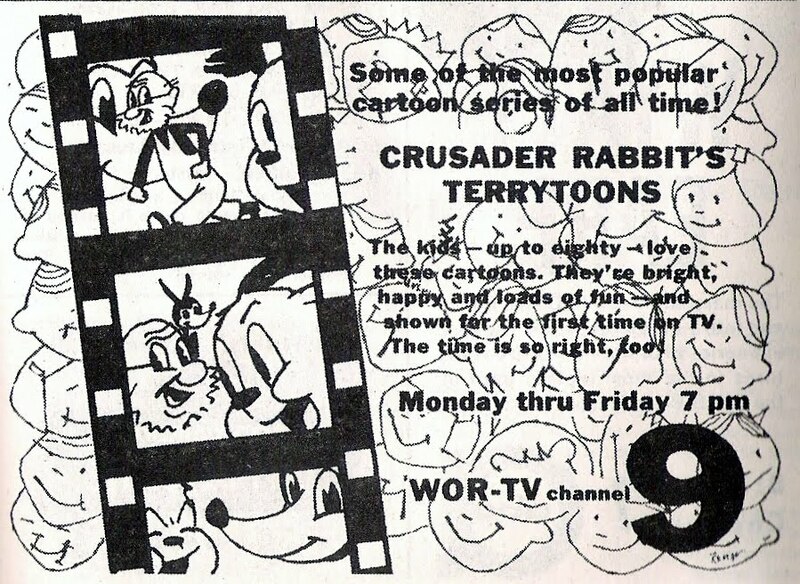 Banjo or Barnaby show I was on in 1960?" I hate to say that it would be almost impossible to find because of the above reason..I will try to answer any other question I can..
As far as research, even the internet has limits sometimes..Research I do outside the home involves trips to Akron or Cleveland, which have been limited by time and finances. In saying all that, Please keep emailing me your questions. If I can find a way to answer them, I will..
You may (or may not) have noticed the postings to this blog have slowed down considerably over the months. To do a Major post takes about 2-3 days to do right..To take several hours a day to work on the blog is a bit difficult with work and home considerations. 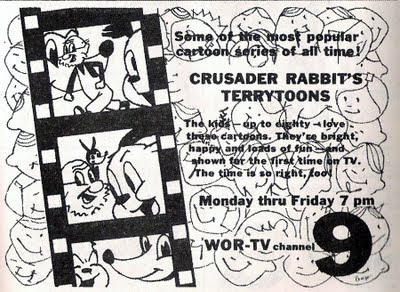 I'll try to post more in the coming weeks here..
More good classic TV News locally..WOIO will add MeTV to one of its digital channels soon..WIVM-52 moved to channel 39 recently and added Tuff TV and will add AMGTV soon along with having RTV..Antenna TV was put on WJW-TV 8.2 in January.. Thank you for all your support and God Bless..
Have a Good Life, Joe Tait! 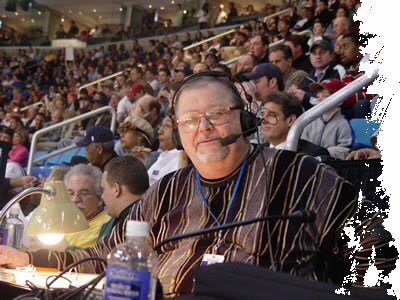 From nba.com..Some of Joe Tait's classic calls over the years..
Tonight marks the end of an era in Cleveland Sports and Broadcasting..The words "iconic" and legendary" are thrown around so easily these days..However, the subject of our blog today is definitely legendary in his field, or court, wherever he calls play by play at a sporting event..I am speaking of course, of Joe Tait,the voice of the Cleveland Cavaliers from shortly after the beginning of their first season (1970-71) through 2010-11, with the exception of 1981-83 when he called games for the New Jersey Nets on radio and the Chicago Bulls on Cable TV. 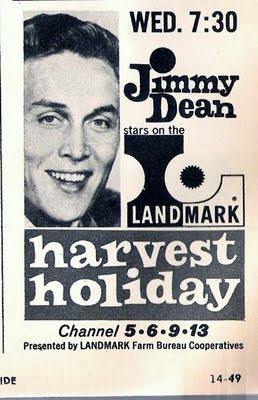 I remember trying during the 1971-72 season to hear the games in the basement of our East Sparta home when the only station I could get the games on was the old WCUE 96.5FM(WAKS)..Was hard enough to get FM in rural Stark County without trying to get an FM station from Akron in a brick basement..Joe was my connection to the Cavaliers when not many games were on TV..He made the Cavaliers sound exciting even in a 141-87 blowout by Philly, which happened in the first season. His signature calls...BINGOO!! when Bobby Smith woulld launch a long jumper..WHAM! With the Right hand! for a dunk..His disdain for the officials became a regular thing that the fans loved..For as great as Joe was, he was/is one of us..He came about in a simpler era in the NBA when pretty much the game was all that mattered..Sure players had their issues, but The GAME was the thing..From recent interviews with Joe, you get the idea that Today's NBA is to much about "show"..Fireworks, cheerleaders, and other things that distract from the game on the floor.. I remember a second season game against the Knicks (February 20, 1972) when the Cavs beat them 111-109..The Knicks were still considered a championship contender..This was the Cavaliers first ever win against The Knicks..Youd have thought from Joe's call theyd won the NBA title..His calls in the Washington Bullets Playoff games in 1975-76..Classic..
As good as he was in Calling the Cavs action, Joe also called Indians games on radio from 1973-79 and TV from 1980-87.. Tait enjoyed doing Play-by-play so much he would do small college and high school games whenever time permitted..He even called some Barons Hockey games for a time..
Joe unfortunately never got to call a Cavaliers NBA championship, though the team made it to the finals in 2007.. 2010-2011 has been a particularly rough seson for Joe as illness and surgery robbed him of most of the season, which he had already announced would be his last..He has been able, however, to call the last 5 home games, including a recent memorable win over the Miami Heat..
His final game will be tonight at the Q when the Cavaliers take on the Washington Wizards..Fox Sports Ohio will be doing something unique, as they will be piping in Joe's call of tonight's second half with occasional comments from Fred McLeod and Austin Carr..FSO will also premiere an hour special after the game tonight, "Have a Good Night. Everybody"..In which past and present Cavs personnel share their memories of Joe Tait. This special with be repeated several times throughout April..
A personal note..From what I've read in recent days, Joe has been a "real"..Person, a friend to those he makes friends with if that makes sense..And a real encouragement to those breaking into the broadcasting/journalism business..It really irks me to see people on Cleveland.com comments recently say "Joe should have retired years ago" or "He was never that good to begin with"..He lasted 39 years..And will still be doing Mount Union Football..Who of those that make uninformed comments like that will last even 10 years in broadcasting, let alone 39.. Joe Tait is, and has been, one of the BEST ever in front of a microphone..We love you Joe and God Bless in your retirement..
Former Tribe Player Jack Graney was the first Radio announcer for Indians Baseball, beginning in 1932 on WJW-AM going all the way to 1944 with several partners, Though Tom Manning did some games for WTAM in the 1929-31 period, but he also was League Park Announcer. WWWE-1100 gained the Broadcast rights in 1973, with Joe Tait, Cavaliers broadcaster joining Herb Score until 1980..when Nev Chandler of Channel 5 joined Herb Score through the 1984 season..1985 saw Steve LaMar opposite Herb..Lamar was here through 1987..Paul Olden joined Herb in 1988..Olden had an uncanny knack for sounding like Vin Scully..Olden stayed through 1989..
Tom Hamilton joined the broadcast team in 1990..and has been with the team since then..WKNR-1220 gained radio rights from 1992-97, with the Score-Hamilton duo intact..Herb Score Retired after the 1997 season, but not before calling two Indians World Series..(1995, 97) WTAM-1100 (WWWE) acquired radio rights once again in 1998, with the Tribe going to a 3-man broadcast booth..Hamilton, former MLB player Mike Hegan and Former Tribe coach Davey Nelson were the team in 1998-99, with Channel 5 sports staffer Matt Underwood replacing Nelson from 2000-2006..In 2007, Underwood went to Sports Time Ohio as Indians annoiuncer with Rick Manning..Leaving just Tom Hamilton and Mike Hegan as the radio team..
Rosenhaus came from the AAA Buffalo Bisons. UPDATE 2012:Mike Hegan has retired from the radio booth, leaving just Jim Rosenhaus and Tom Hamiliton. UPDATE 2013:WTAM has signed a new Radio Contract for Indians games. 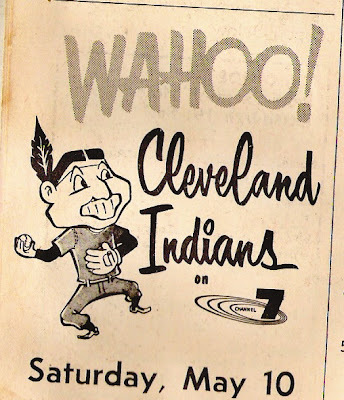 with most of them simulcast on WMMS-100.7 FM..
Cleveland Indians TV coverage began as early as 1948 on WEWS Channel 5 with Van Patrick in the booth, being replaced by Tris Speaker and Bob Neal in 1949..
1950 saw WXEL-9 get the TV rights..Holding them at first through 1955 (as WJW-8 by this time) Announcers were Jimmy Dudley/Jack Graney in 1950, Hal Newell in 1951, Bob Neal and "Red" Jones in 1952-53..Ken Coleman and Jim Britt 1954-55 on WXEL/WJW. 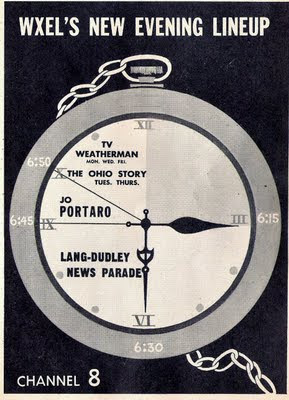 WEWS got the rights back from 1956-60..with Coleman/Britt in 1956-57, Coleman and Bill McColgan from 1958-60. 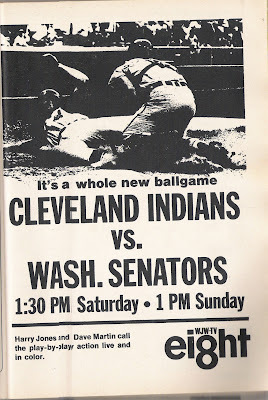 WJW-TV 8 would get the rights once again in 1961-holding them through 1979..Ken Coleman partnered with Harry Jones in 1961, then Bob Neal in 1962-1963..Coleman left the Indians after the 1963 season. Herb Score joined Bob Neal in 1964, then Score was joined by Harry Jones from 1965-67..Harry Jones was joined by Yankee legend Mel Allen in 1968..1969-71 saw the team of Harry Jones and Dave Martin..Jones then partnered with Rocky Colavito in 1972, then Mudcat Grant in 1973-74..(Little bit of chin music there..) 1975-76 had Bob Brown and Rocky Colavito as the broadcast team..1977 it was back to Harry Jones and Mudcat Grant..1978 (WJKW) saw Jim Meuller and Eddie Doucette of Milwaukee as the TV Team..In 1979 it was Joe Castiglione and Bruce Drennan..
WUAB-TV 43 gained broadcast rights in 1980-2001..Joe Tait and Bruce Drennan as the team from 1980-82..Then Joe Tait was joined by retired Browns(?) receiver Reggie Rucker from 1983-84..Joe Tait then was with Jack Corrigan in 1985-87 (now part of the Rockies' Radio team).Corrigan teamed with Steve LaMar in 1988..then with Mike Hegan from 1989-2001, joined by Matt Underwood as the 3rd man in the booth in the 2000 season only.. Early unsuccesful attempts at Cable included Ted Stepien's TenTV in 1982..With Joe Castiglione and Bob Feller as announcers..Then the Sports Exchange in 1983, with Feller, Jack Corrigan and Denny Schreiner..
1990 saw the debut of SportsChannel Ohio(FOX Sports Ohio as of 1998), with Rick Manning and Plain Dealer writer Dan Coughlin. Coughlin was replaced in 1991 bu Pittsburgh Sports TV Veteran John Sanders. 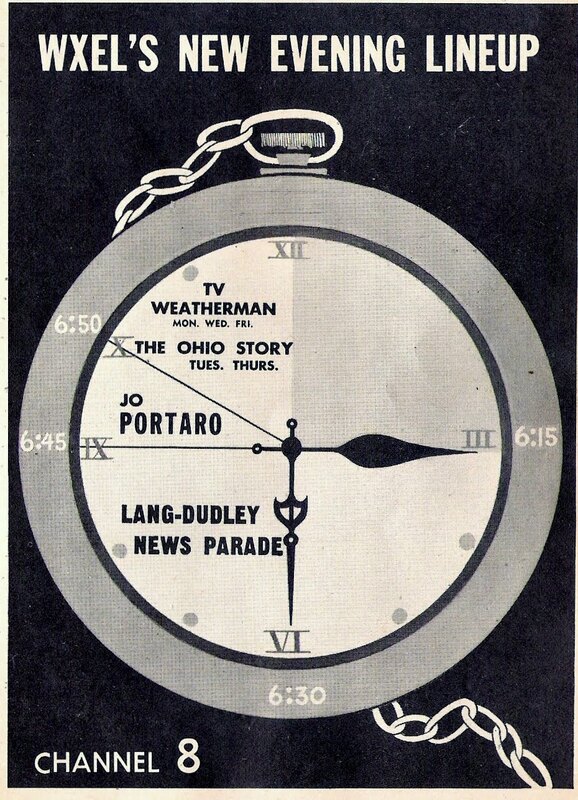 They were joined in 2002 by Mike Hegan through 2005..
Underwood joined Rick Manning as the Current Broadcast TV Team..
2013 Update:Dolans sell Sportstime Ohio to Fox which rebrands the Network "Fox Sportstime Ohio"..They will televise nearly every Indians Game, with just 4 simulcasts with WKYC-TV 3..